Did you girls know that doing a lot of chemicals, styling and perming can lead to seriously damaged hair. Especially the tip of the hair which is always dry, frizzy and not manageable sometimes. I'm not sure about you all, but my hair is really damaged after all the hair colouring and styling. I'm sure no one likes the look of flyaway and dry hair right? Therefore, we must do something about it. Of course, doing hair treatment at the hair salon is one of the more expensive ways to maintain a healthy hair. But, it can be quite costly and time consuming sometimes. 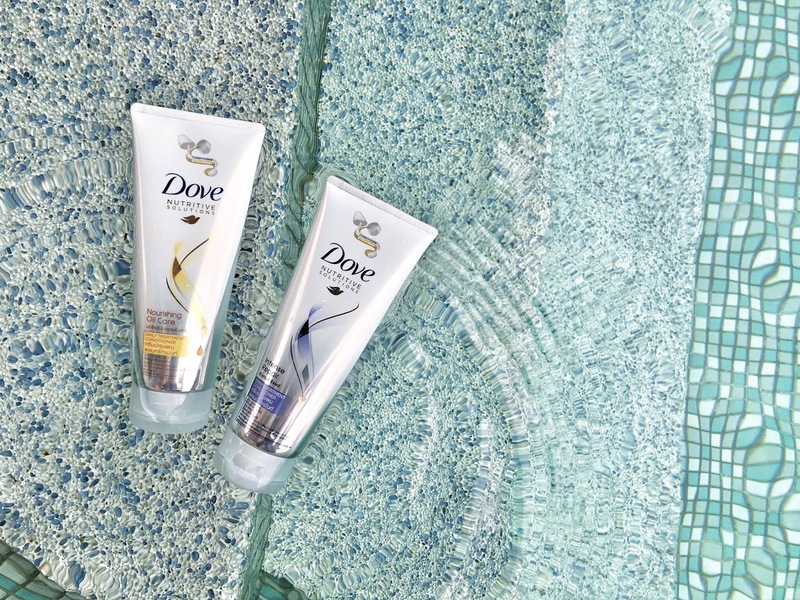 Now with the new Dove Daily Treatment Conditioner, you can have your hair treatment every day at home and it’s much more affordable. 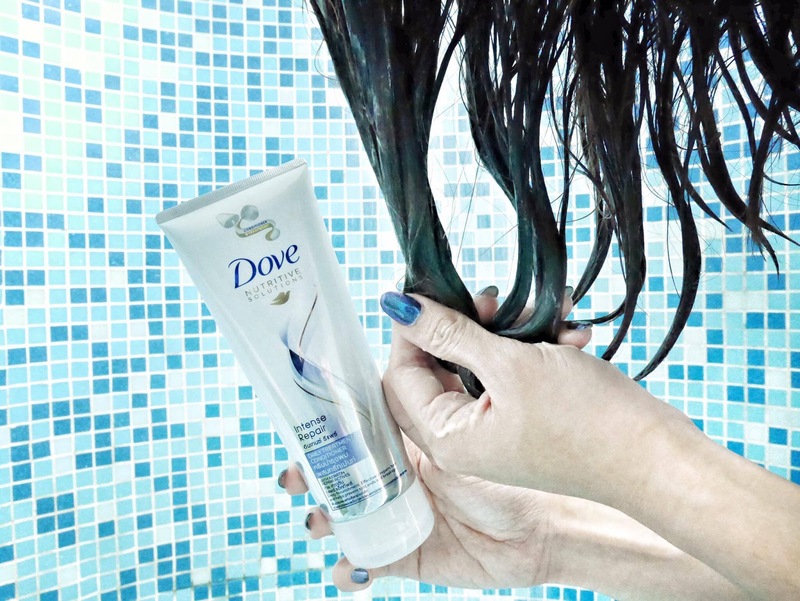 If you want to get rid of dry and frizzy hair, you should start using the new Dove Daily Treatment Conditioner now! By doing this you can maintain healthy hair all day long without spending a lot of money. With new expert innovation and patented technology, Dove Nutritive Solutions Intense Repair goes to the hair’s cellular level and gives you your most beautiful hair with care that begins deep inside. The secret to healthy hair starts from within, which is why Dove’s Intense Repair range is formulated with Keratin Repair Actives, to target the dryness and damage found deep inside the hair. Yes, these two are the two latest releases for this range, which are Intense Repair & Nourishing Oil Care. I personally like the Nourishing Oil Care more as I can see great effect right after I use it. My hair is so much smoother now after using it and also a lot easier to manage. 2. Apply sufficient amount of conditioner into the palm of your hand; the amount you need is depending on the length of your hair. See the dual color of the conditioner? The white swirl is for conditioner and the golden yellow swirl is the treatment. You can have both in one tube. How cool is that? 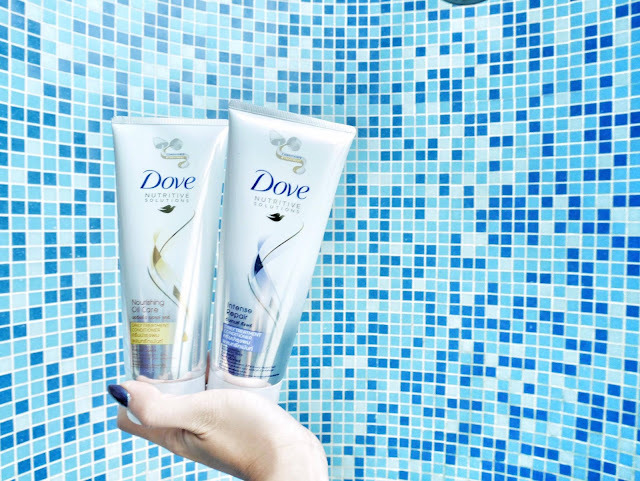 that's why i loved on dove because it very take care and protect my hair every time am used it. Nice entry by the way..